Flashes effectively act as an intermediary stage between still images and movies, adding a general liveliness to dull contents. 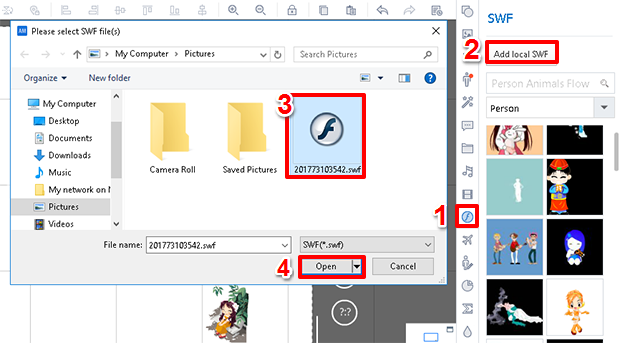 In Animiz, you are given two options to find flash resources that can be added to the video presentation: select from the stock library, or from your local files. You can take the following steps to add flashes. 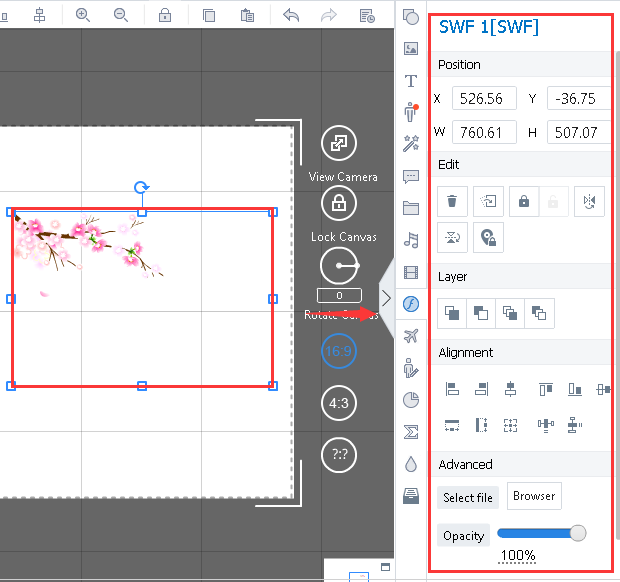 Click the "SWF (W)" icon, look for an ideal image by using the filter based on the category, or typing the relative topic in the search bar, and then click on the image to add it. 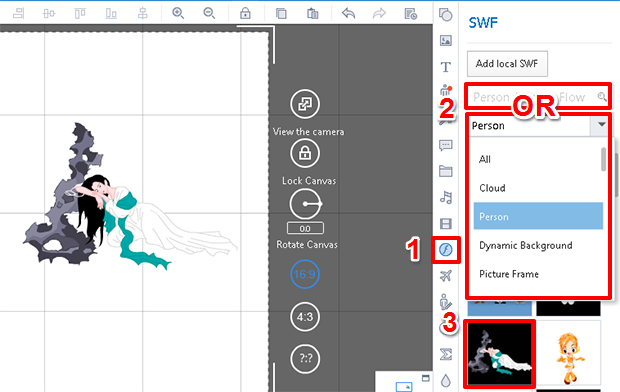 Click the "SWF (W)" icon, select "Add local SWF", select a SWF in the local file, and then click "open" to add it. Select the flash in the video presentation, and then you can access various tools on the right to customize the flash opacity, layer,position and so on.